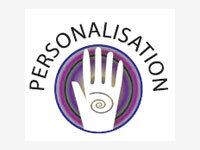 English councils will be expected to offer personal budgets to all new users and carers and those subject to care reviews by October 2010, as part of a set of personalisation “milestones” they may be assessed against. The standards were laid out in a letter to directors sent yesterday by Department of Health, Association of Directors of Adult Social Services and Local Government Association leaders. They set out expectations for councils in delivering on the Putting People First programme to personalise care at various stages from December 2009-April 2011, when the three-year agenda – backed by £520m in DH funding – comes to an end. Though the milestones are not formal targets, the Care Quality Commission is to consider using them in their assessment of local authorities in 2010-11 and 2011-12. Developing effective partnerships with service users:- By December 2011, every council area should have at least one user-led organisation directly contributing to the development of personal budgets. Self-directed support and personal budgets:- By October 2010, all new eligible services users and carers and those subject to care reviews should be offered a personal budget, and by April 2011, at least 30% of users and carers should be receiving a personal budget. Prevention and cost-effective services:- By April 2011, there should be evidence that preventive services have delivered efficiency savings and that councils have achieved cash-releasing efficiencies of 3% a year in adult social care. Information and advice:- By April 2011, the public should be informed about where to go to get the best information and advice about their care needs. Local commissioning:- By April 2011, all local stakeholders should be clear about the impact of direct purchasing of care by individuals on the commissioning of care by councils, in such a way to guarantee the supply of sufficient services to meet local needs. The milestones have been produced in the wake of a survey of progress on personalisation carried out in March by the LGA and Adass, who have been charged by government with helping councils implement the programme. This found good progress overall, with an average of 8% of users and carers receiving personal budgets, but wide disparities between areas. In their letter to directors, DH director general of social care David Behan, Adass president Jenny Owen and LGA adult care lead Andrew Cozens said that the results showed “a discrepancy between those councils who were making substantial progress and others who were just starting on the change processes”. They also said the survey “highlighted the absence of any published markers to enable authorities to judge their pace of change, particularly in the wider national and regional context”.